NutroActive is driven by a passion for good health. One must eat healthy food and lead an active life, and that's why our tagline says” Eat Healthy Get Active”. All our food products are developed to provide maximum nutritional benefits to help you maintain a balanced diet and lead a healthy life. Mineral nutrient is essentially required by all living organism. Major minerals available in the human body are calcium, phosphorus, potassium, sulfur, sodium, chlorine, magnesium, iron, cobalt, copper, zinc, molybdenum, iodine, selenium etc. 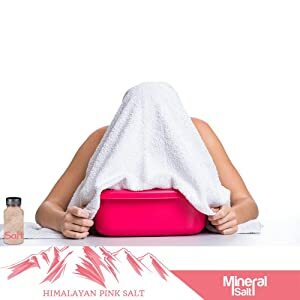 This Nutroactive Himalayan Pink Mineral Salt contains 84 types of minerals which help in weight management, water retention in the body, useful for relieving muscle cramps, and also good for improving the skin condition. Mineral salt is the naturally occurring original salt, hand-mined from foothills of the Great Himalayas. Himalayan salt is harvested as large blocks and then it is crushed into the medium, small and very small pieces. Finest quality rocks are used for cooking. 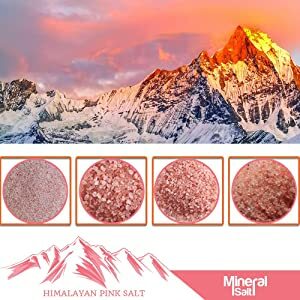 Himalayan Pink Salt contains 84 minerals that has a lot of health benefits for the human body, and can be used in the similar way as the table salt. 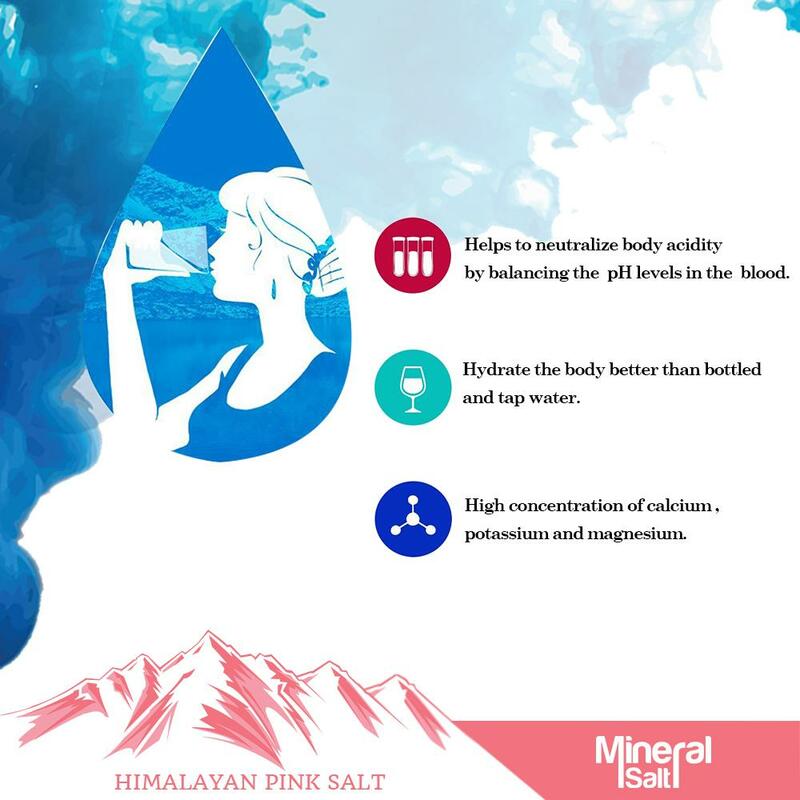 Himalayan Pink Mineral salt provides benefits of different minerals which are required for different metabolic functions in our body. Every biochemical process in our body requires some co-factors. Minerals are important co-factor in many biochemical processes. As this Rock Salt is rich in several minerals hence it is becomes a healthier option for us. 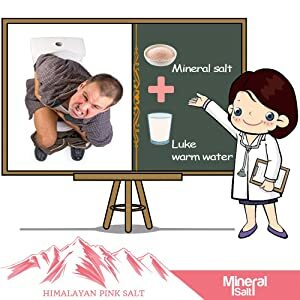 If you are suffering from long-term, mild or severe grade of motion passing problem then taking mineral salt water daily empty stomach in morning will be of a great help to you. 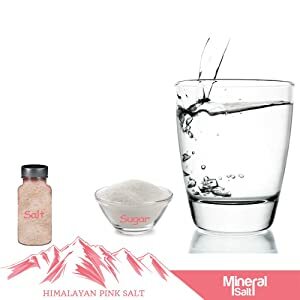 Add a pinch of Mineral Salt in a glass of lukewarm water to make Mineral Salt Water. Take 1-3 glass of warm mineral salt water daily empty stomach early morning as soon as you wake up to improve bowel cleaning problems. 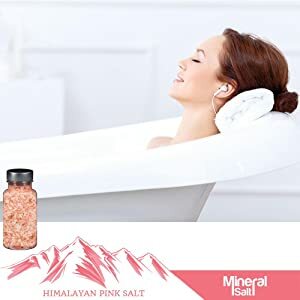 With this Himalayan Pink Mineral Salt, you can enjoy a body spa. Add Mineral Salt to your warm bath water, this will give you detoxifying, rejuvenating and relaxing experience. The salt water contains electrical charges of the minerals along with trace minerals. A salt bath helps draw out toxins, deep cleanses the skin, and helps cleanse the body energetically. For a powerful detoxifying experience, add 1-2 pounds of Himalayan Salt to dissolve in warm water. Please remember don’t use very hot water rather it should be comfortably warm, stay only for 15-20 minutes in salt bath. 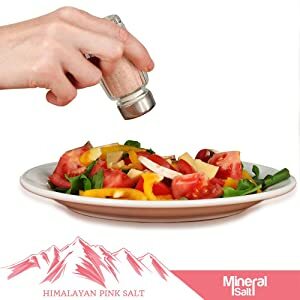 Add Himalayan Pink Mineral Salt to your Salt Shaker for good health. Sprinkle Mineral Salt upon food to make it tastier. 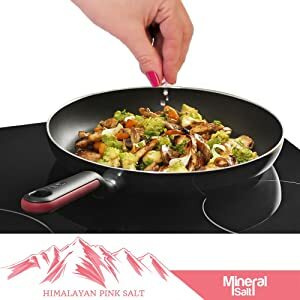 Mineral salt is a low sodium salt. High Sodium intake is not advisable as it may cause health-related complications. Mineral Salt provides multiple health benefits like maintaining pH of body, mineral balance etc. Alkaline Water has several benefits especially for people who eat junk food very often. It’s very easy to make alkaline water. Take 250ml water, add 1-2 pinch of pink mineral salt, squeeze a fresh lemon juice and add 1- 2 pinch of baking soda. This combination helps in easing acidity instantly. If lemon is not available you can make Alkaline water just by adding baking soda and Himalayan mineral salt also. Most of us use water steam inhaler at home for several purposes. Efficacy of this inhaler can be increased by adding pink mineral salt into it. Slowly and deeply inhale the vapor. Warm air open up the nasal pipe and works as decongestant. The salt particle in vapor works as antibacterial, antimicrobial which detoxifies the nasal pipe. This helps in reducing cough, chest congestion and cleaning the sinuses. 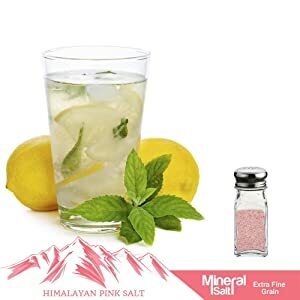 The Himalayan Pink Mineral salt is an excellent choice to make healthy lemonade for guests at your home. Take 250ml of water and add 1tsp of sugar. Mix it well until all sugar gets dissolved then add 1 freshly squeezed lemon juice, some fresh mint leaves, few cubes of ice. Stir gently with a spoon to make it uniform. Enjoy the lemonade in hot summers with friends and family. Sugar and salt can be used to make oral rehydration salt at home. It’s important in diarrhea or vomiting. First thoroughly wash your hands with soap and water before preparing the drink. Make sure you have a clean pitcher or bottle ready. Take 1 liter of clean water and add a half-teaspoon of Himalayan Pink Mineral salt and 2 tablespoons of sugar. You can use granulated or powdered sugar. Stir well to dissolve both sugar and salt. Always drink freshly prepared ORS drink. I perches mineral salt from nutro active brand. It is good and pure. nutro active is a good brand i would definitely try other items also. best and pure product to be used..composition of the salt is good.I started using this salt for me and my family too.. i m happy after using this product. 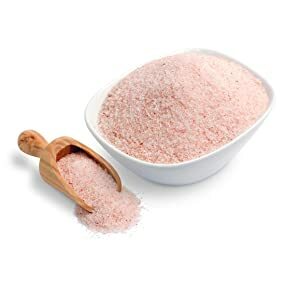 It is very good for health, I personally feel this salt improves my skin problem.